Starting several years ago in California card rooms, this new side bet started booming in land based casinos and can now be played at Fly Casino online. Buster Blackjack is a fun side bet that incorporates not only the chance to win a nice sum of money with some luck at basic BJ, but with the fact that everyone wants the dealer to bust you can now cash-in even more money on a busting hand! And that’s exactly what the player is betting on with this side bet. 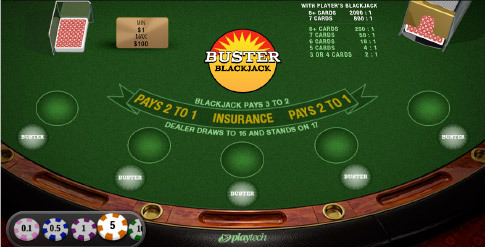 In Buster Blackjack at Fly Casino, you place your side bet wager prior to the dealing of the cards. The very simple premise is that you want the dealer to bust. If the dealer busts, the bet wins automatically and can win progressively more based on the amount of cards that were used for the dealer to bust. The good thing is, even a three card bust, which is the minimum cards possible to cause a bust, wins a crazy 2 to 1! Fun, and adds a lot of excitement to your game. Fly Casino invites you to load up your account balance October 25, 2017 with FREE SLOT PLAY! That’s right, in addition to the great Fly Casino promotions below, you are invited to claim $/£/€35.00 free slot play bonus if you have deposited at least $/£/€200 or more in October. To claim contact support@flycasino.com on October 25, 2017. 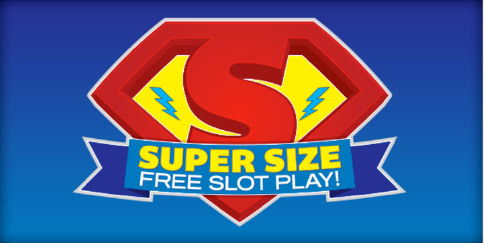 Just 10X wagering requirement on slots with 600.00 max winnings. 100% Bonus up to 150.00! On Sunday from 00:00GMT until 23:59 GMT, all members will receive a 100% bonus up to 150.00 on your deposits of $/£/€30 or more.